Bear Mountain Luge Experience :: Ski The Loup! 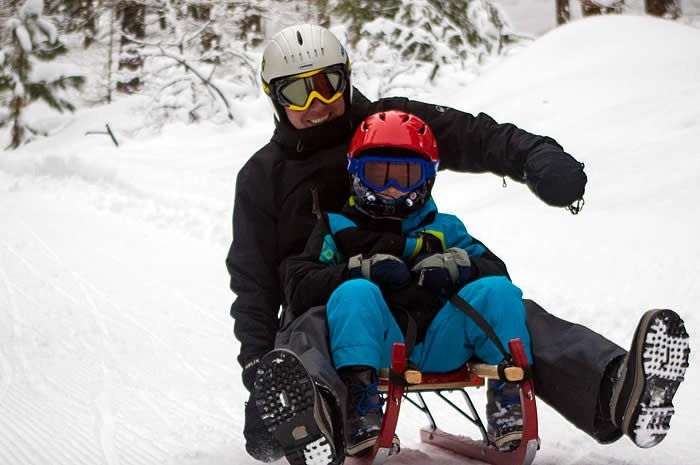 Loup Loup was excited to introduce Luge Sledding to the Northwest last season and is indeed the very first area in the Western U.S. to offer Luge Sledding. 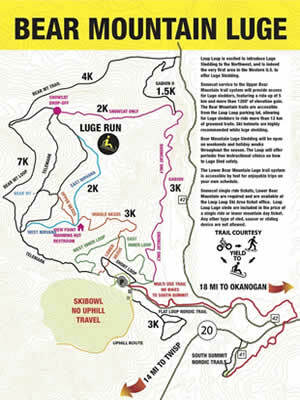 Snowcat service to the Upper Bear Mountain trail system provides access for Luge sledders, featuring a ride up of 5 km and more than 1200’ of elevation gain. 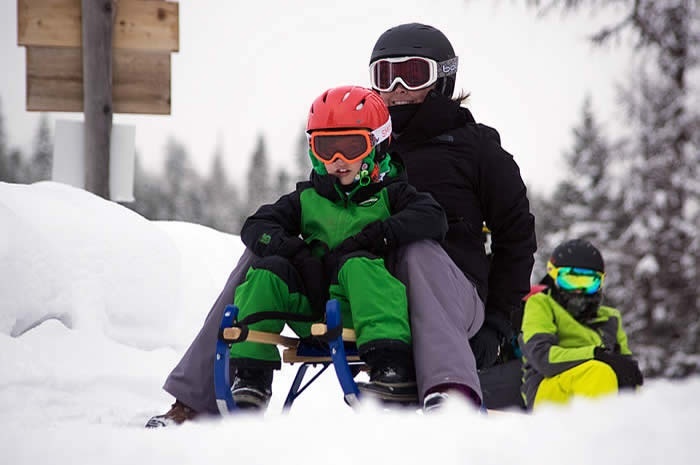 The Bear Mountain trails are accessible from the Loup Loup parking lot, allowing for Luge sledders to ride more than 12 km of groomed trails. 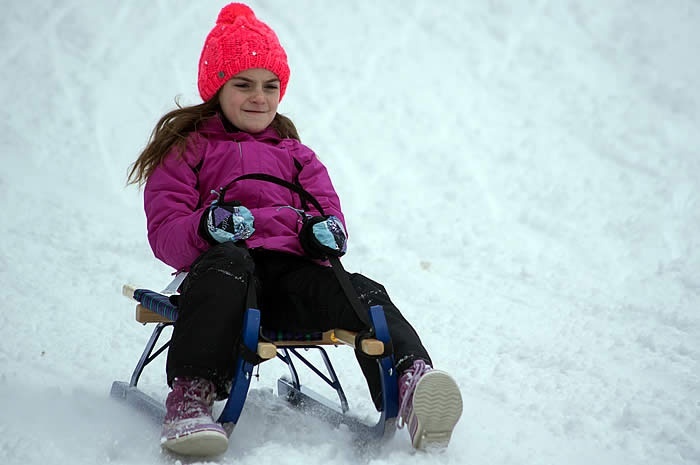 Bear Mountain Luge Sledding will be open on weekends and holiday weeks throughout the season. 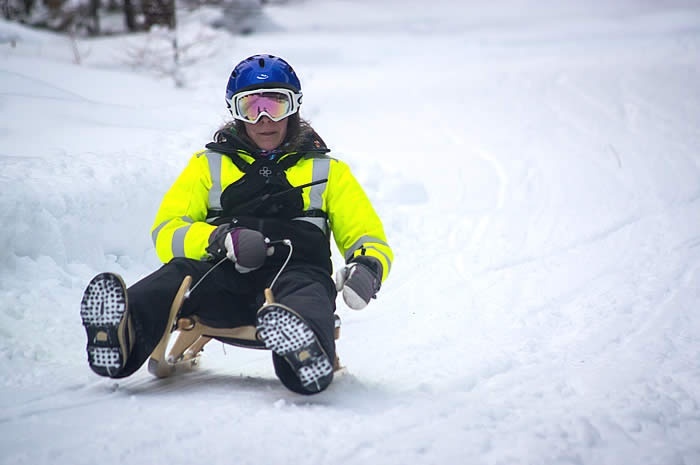 The Loup will offer periodic free instructional clinics on how to Luge Sled safely. 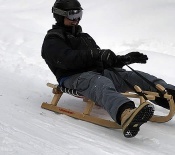 Luge sledding is a physical activity which does involve some walking and requires some level of fitness. 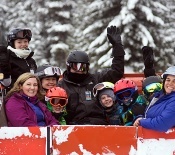 The Luge is currently sold out Feb 16, 17, 18, 19, 20, 21, 22, 23, 24th! you can always email luge@skitheloup.com to check for cancellations. Luge Sledding is popular in Europe, and provides another recreational option at The Loup for outdoor winter enthusiasts. 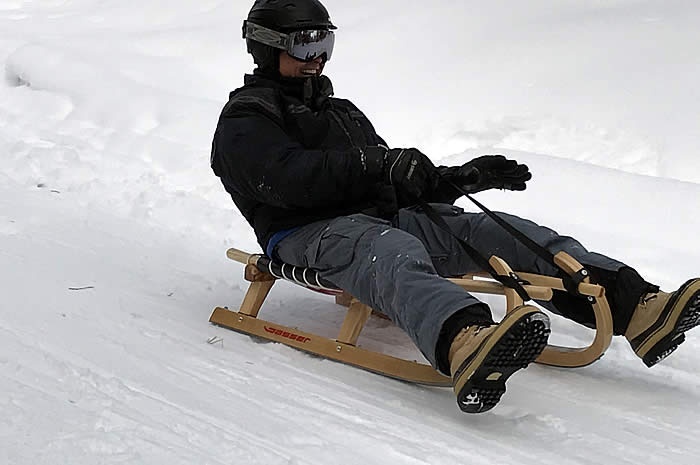 Luge Sledding differs significantly from Olympic Luge, which uses artificial banked tracks, while Luge Sledding uses existing non-banked groomed trails. 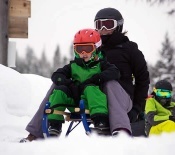 Luge Sledding offers family-oriented, steerable sleds with single and double options. 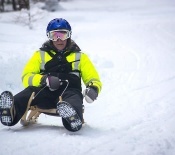 Luge Sledding is easy to learn, challenging to master and exciting to ride. 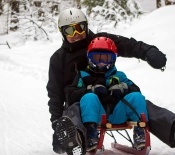 Luge Sledding connects to the natural environment on a groomed trail system all can enjoy. You must arrive 1 hour before your scheduled departure for training. Track conditions vary from day to day and hour to hour. 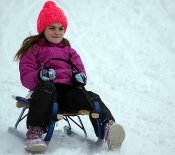 The Luge Cat will run as scheduled weather and conditions permitting. If the Luge Cat is cancelled, guests will receive a full refund. If the guest cancels, no refund will be given. 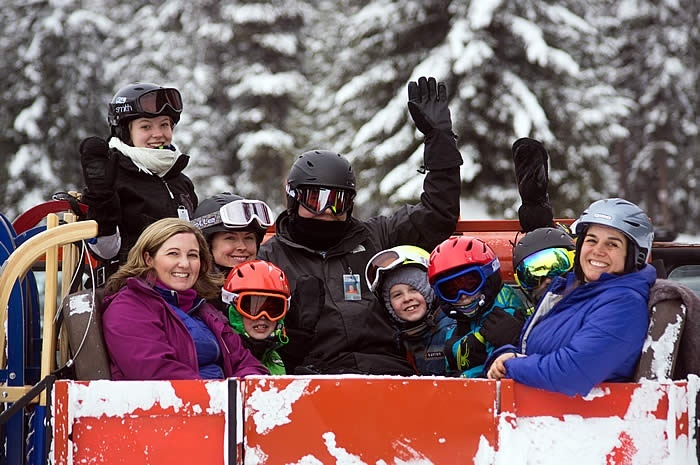 Reservations may be requested by submitting our online form below, visiting our office or calling the Luge Line at (509) 557-4987. Please note that no refunds or credit will be given for same-day cancellations unless made by the Loup. Cancellations made 24-hours from your scheduled time of departure will receive credit for a later date, but no refund. Refunds will be issued for cancellations made 48-hours from your scheduled time of departure. Please select a date which falls on Saturday or Sunday, Monday January 21 or during the week of February 18th - 22nd. Will ride tandem with parent/guardian. Children must be at least 6 years old to ride. Only Luge Sleds are allowed on Bear Mountain Luge Experience Trails. All plastic saucers, plastic sleds & other snow toys are prohibited. Like our alpine area, helmets are strongly advised. Helmets make Loup Loup safer and more fun. Lids on Kids is a program that encourages the use of helmets on the mountain. Visit Lids on Kids to discover how to find the best helmet for your child, as well as tips for adults.